We’re happy to inform our customers that the services for TIM, Vivo, Claro and Brasil Telecom are now supporting the iPhone 4S & iPhone 5 in less than 2 working days ! Price remain the same but it’s always negotiable as usual if you find cheaper with one of our competitor! We’re pleased to inform that we are now able to unlock all iPhone from Vivo, TIM and Claro Brazil ! We used to offer only Vivo in past but supplier was not able to provide activation…… Problem is now fixed! Claro added + Samsung/Vivo/Tim Brasil reduced ! We’re pleased to inform all our customers that we just add today on UnlockBase a new Network for Unlock by IMEI “Claro Brasil“, all models are supported except Nokia BB5, and time for delivery is less than 24 Hours from Monday to Friday ! if you find cheaper, or if you do large quantity, please contact us to negotiate better rates ! Samsung Brasil Unlock Code ! We’re pleased to inform all our customer that we just find a new source able to get in less than 24h all Unlock Code for Samsung from Brasil ! Price: 15 Euro or 19 USD or 12.9 GBP and by the way, if you find cheaper, or if you do large quantity, please contact us by email to negotiate better rates ! Brasil Telecom (BrtCell) and Oi Brasil Support ! it’s a World First from UnlockBase ! 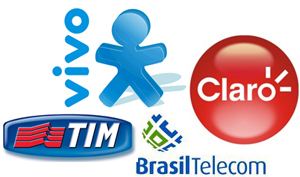 New Network Supported : Claro Brasil !!! Price : 20 Euro or 25 USD or 18 GBP, but if you find cheaper, or if you do large quantity, please contact us by email ([email protected]) to negotiate better rates ! iPhone Unlock for Vivo Brasil ! 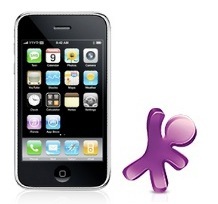 We are extremely happy to inform you that UnlockBase server is now able to unlock iPhones from VIVO Brazil Operator. The unlock is full and complete, no more x-sim, turbo-sim, jailbreak and other stuff that can damage your phone. Just get the unlock from UnlockBase, put a SIM from an unsupported operator, connect to iTunes and perform the security update and your iPhone will be fully unlocked ! TIM & VIVO by IMEI are now supported !